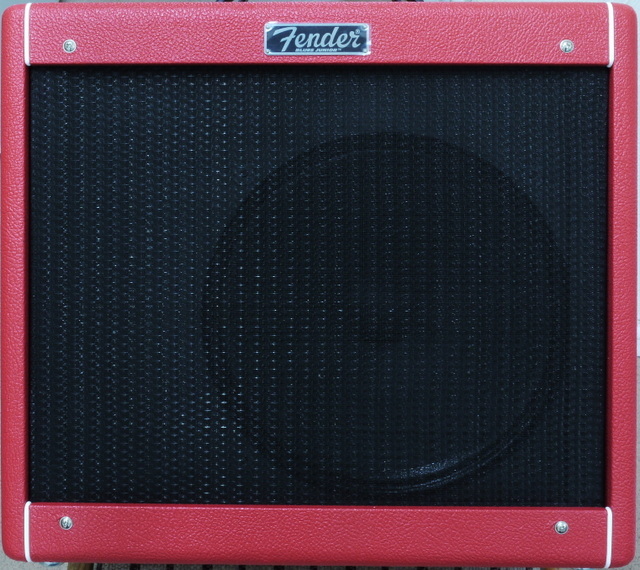 Now 'Made in Mexico', this is a VERY Popular 15w Fender Combo Amp and I have Modified Hundreds of them. Great Build Quality with a wide choice of Speakers and Cabinet Finish/Colours. 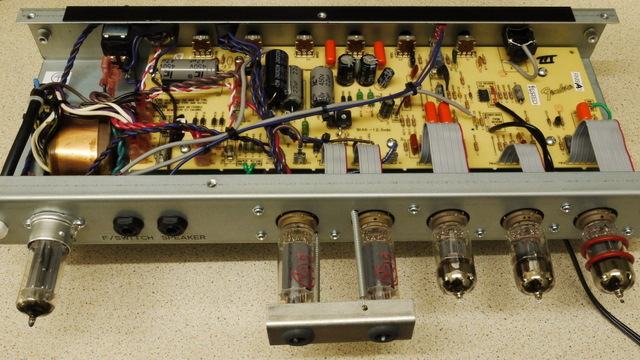 It's an all Valve Amp with the exception of the Reverb which is 'Op-Amp' (Chip) Driven, using an Accutronics (V2) -or- Belton (V3) 'Short' Reverb Tank (8EB2C1B). Upgraded in 2010 to the V3. The Cabinet is made from PLY/MDF. 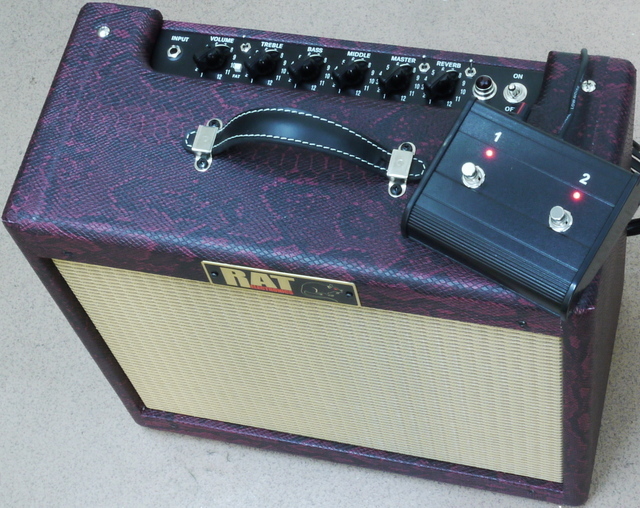 The Amp has some nice 'Cleans' available, turn it up and hit the 'FAT' Switch for some decent overdrive. 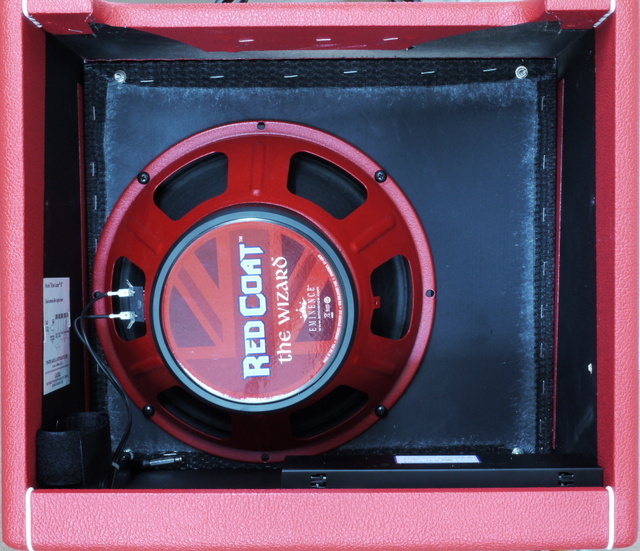 Rated at 15 Watts RMS using 2x EL84 Power Valves, Fixed Grid Bias, Push-Pull, Class A/B. The Stock (UK) Amp (V2 and V3) have a few 'Issues' that MUST be Corrected. New V3 Features - Black Control Panel with Front-Reading Text - Rattle reducing shock absorbers for the 2x EL84 Power Valves - Vintage Fender 'Dog-Bone' Carry Handle - Vintage sized jewel Pilot Light - Fender (Eminence) 12" 'Lightning Bolt' Speaker - Heavy duty 'Chicken Head' Knobs - New Badge and a 'Sparkle' Modification. 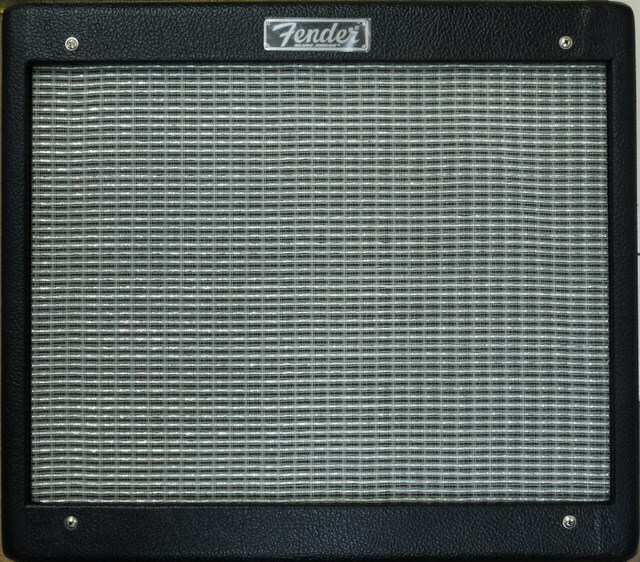 This Amp is a Classic and used widely around the world. 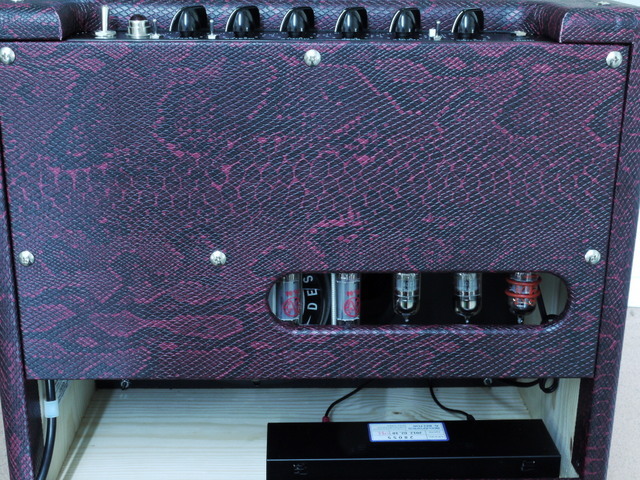 It's a Good Amp but it can be made so much better with just a few Modifications. 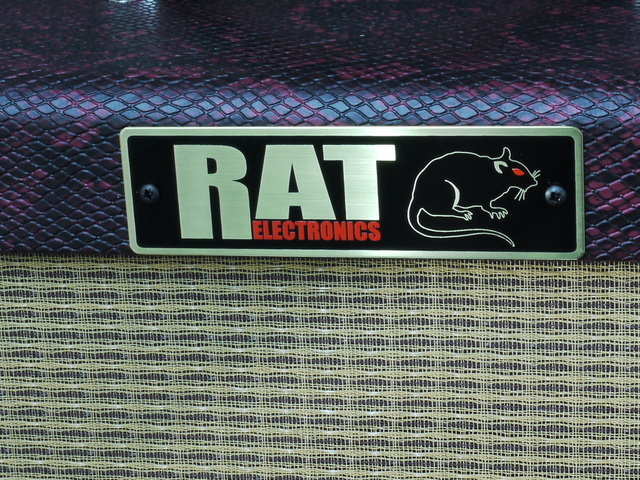 The RAT Mods will turn a Good Amp into a Great Amp with a Dramatic increase in both Performance and Reliability. 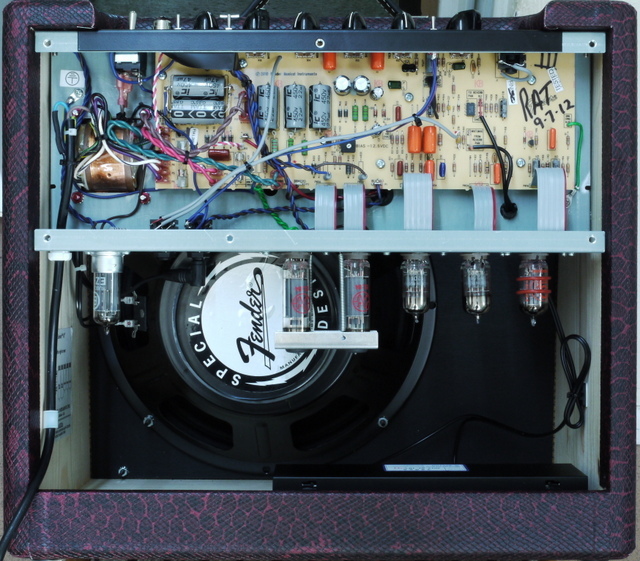 If you have a Faulty or Broken FBJ and just want to get the Amp working again, I have a Fixed Price 'Service Fee' that covers everything required to get the Amp working correctly. This Includes the UK Voltage and Bias Modifications - PAT (Test) and Return Delivery. 2. 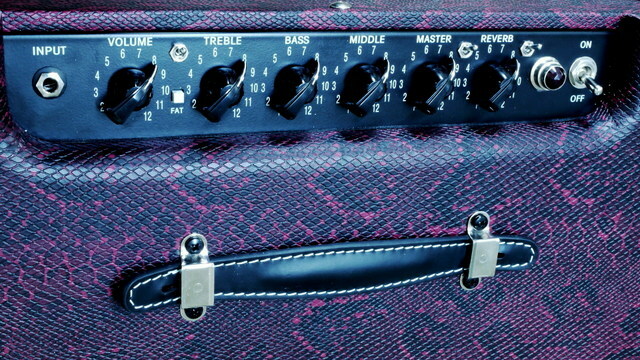 - The Stock Amp does not have a 'Standby' Switch - I replace the Factory Switch with a 3 position 'Off-Standby-On' Switch..........Not Fitted with the 'Twin-Rectifier' System (Optional Upgrade 14). 3. - I do 2 Modifications to the Power Supply - Increase the Smoothing Capacity for 'Tighter Bass' -and- Fit a 'Safety' Resistor so that the Amp can not hold a Lethal Charge when switched off. 4. - All Blues Junior Amps run a very 'Hot' Bias setting with no Bias adjustment control, this 'Cooks' the 2x EL84s, you can tell just by looking at the Valves - the Ident on the EL84s will be 'Burned' and the Valve Base Sockets are usually discoloured. The problem is even worse if you are in the UK and the Amps internal mains supply wiring is set to 230vac (as they all are). This also makes the Amp sound 'Harsh' and will cause other problems when changing the Power Valves. I fit a 'Bias' adjustment control and reset the Bias Level to a 'Cooler' setting. This will increase the 2x Power Valves life and makes the Amp sound better. 5. - Full Lead Dress - All Transformer and Heater wires in a Valve Amp must be tightly twisted or they will induce 'Noise' into the Amp Circuit. Twisting all of the wires and placing them in the correct location does make this Amp quieter (NO Background Noise - Buzz-Hum). 6. - I have never seen a used FBJ that does not need New Power Valves - After the Mains Voltage is reset and a Bias Control fitted, A New set of 'JJ' Matched EL84 Power Valves are Fitted - This will keep the Amp working at it's optimum, usually producing 18.2 Watts RMS Output without 'Cooking' it's Valves ever again. 7. 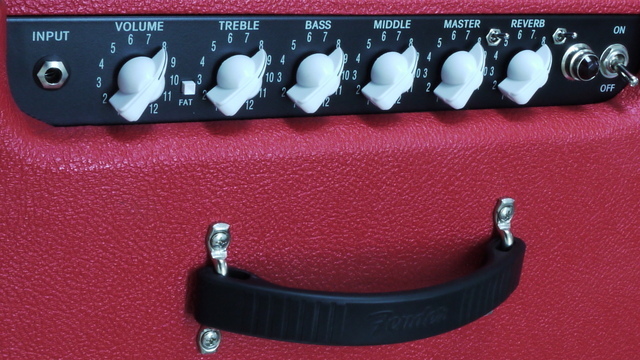 - Modified Tone Stack - The Factory Tone controls do not allow total tone control, they sweep in a 'Preset-Range'. 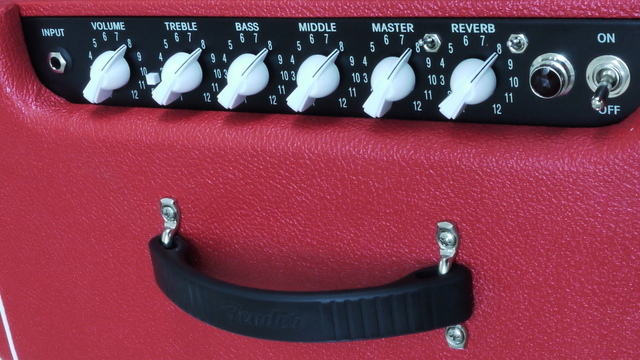 The Modified Treble, Middle and Bass Controls will sweep from 'Zero-to-Max' on each Frequency. 8. - All of the 'Tone' Capacitors are replaced with 'Orange Drop' Parts. This gives the Amp much better definition. 9. - The Input socket on all Blues Juniors is a Problem. It is PCB Mounted and made from 'Hard' plastic. The first time you 'trip-up' over your Guitar lead, you will destroy the input socket. It is then a Major job to replace the socket as the Amplifiers PCB must be removed - NOT Easy. I replace the Socket with a Quality part that can be easily changed in about 5 minutes (if you ever need to change it). 10. - The AC Valve Heater Supply uses an Artificial Centre Tap to 'PCB' Earth. The Circuit is Removed from the 'PCB' and sent Directly to 'Chassis' Earth. 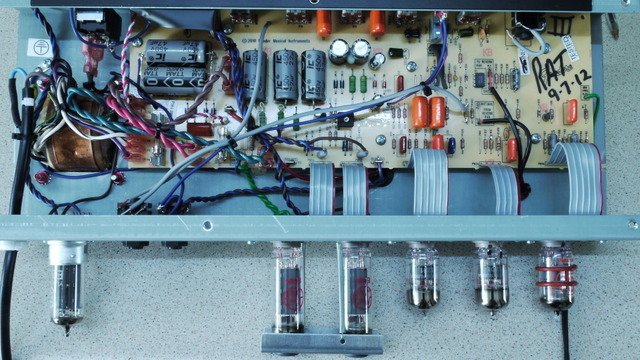 All of these little Modifications add up to a Super Quiet (NO Background Noise) Amp. 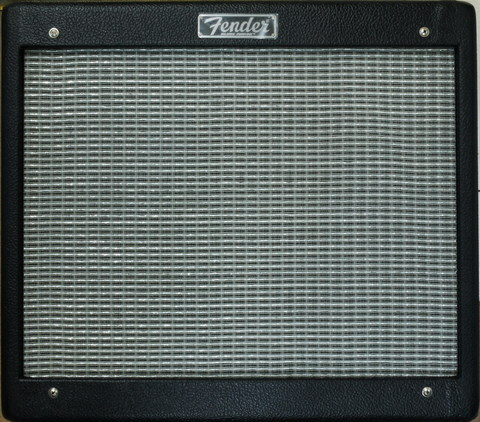 The Goal being that when you Switch the Amp 'On' - It is so Quiet, you don't even know it's 'On'. 11. - Preamp and Splitter Valve Heaters are converted to DC. The Power Valves (and Valve Rectifier - If Fitted) Heaters remain AC. This will allow the use of ANY Make or Combination of Preamp/Splitter/Power Valves. 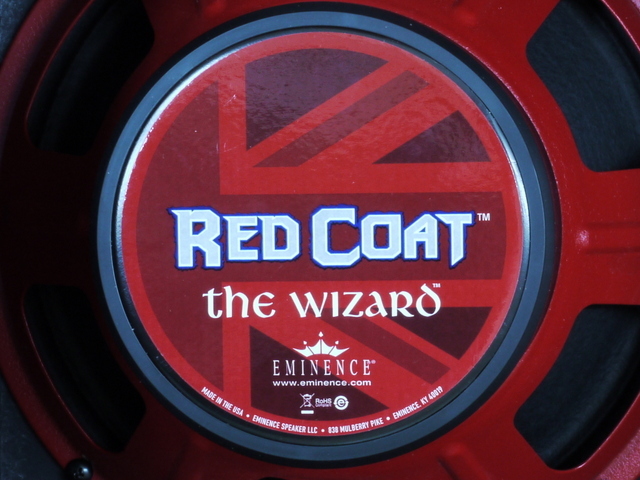 It also gets rid of any Buzz in the Preamp section of the Amp. If the Wrong Make of '12AX7' (ECC83) Valves are used in the 'Stock' Amp, it will cause serious BUZZ. 12. - Optional Upgrade - Half Power Switch - (Located next to the Reverb Control) - Switches the Output of the Amp between 'Full Power' -and- 'Half Power'. This will allow you to get the 'Crunchy' sounds at a much lower Volume. 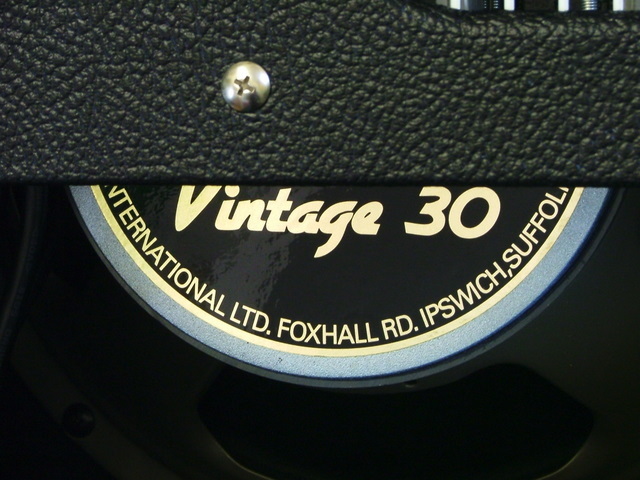 The 'Half-Power' Switch when used with the Tri-Rectifier (If Fitted) 'V1' setting will reduce the output of the Amp to less than 5 Watts RMS. 13. 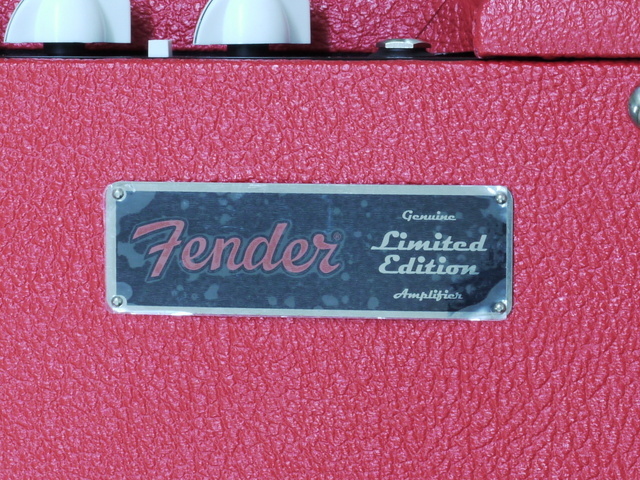 - Optional Upgrade - NFB Switch - (Negative Feedback On-or-Off.....Small Switch located next to the Volume Control) - Almost all Fender Amps use 'NFB'. This is an internal 'Loop' that sends part of the Speaker signal 'Back' to a previous stage in the Amplifier Circuit. 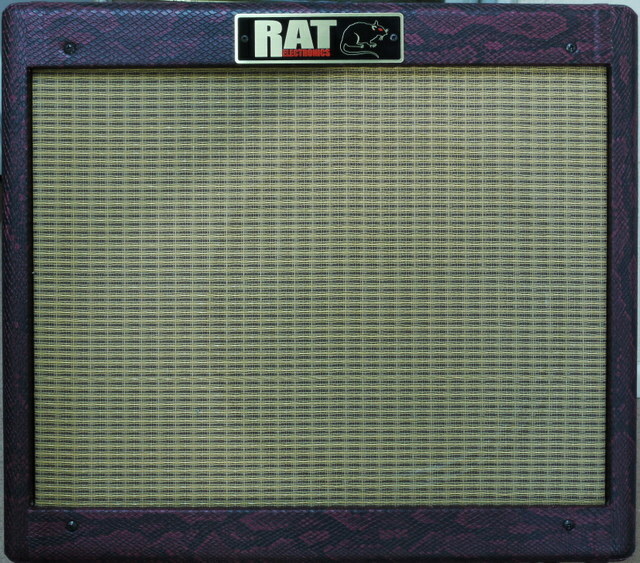 It keeps the Amp 'Clean' and allows 'Tone Shaping'. 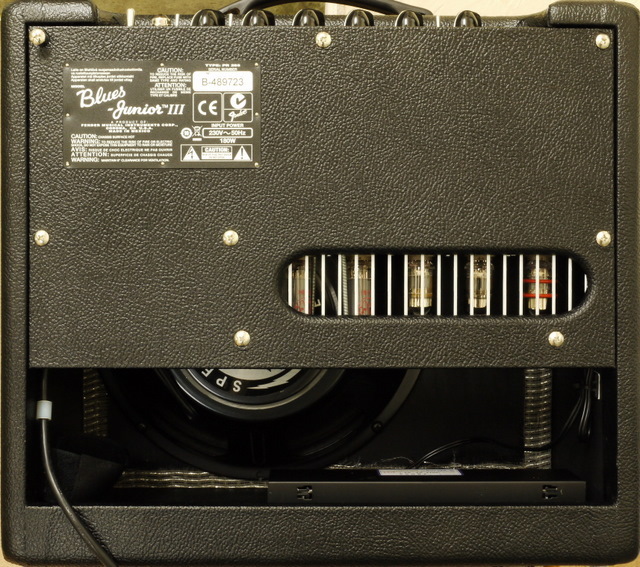 If the 'NFB' is turned off - the Amp becomes a lot more Aggressive and Harmonic. This works in conjunction with the Factory 'FAT' Switch which adds even more Harmonics into the final Sound. 14. - Optional Upgrade - 'Twin Rectifier' - This Modification Replaces the Mains On/Off Power Switch with a 3 Position Switch. 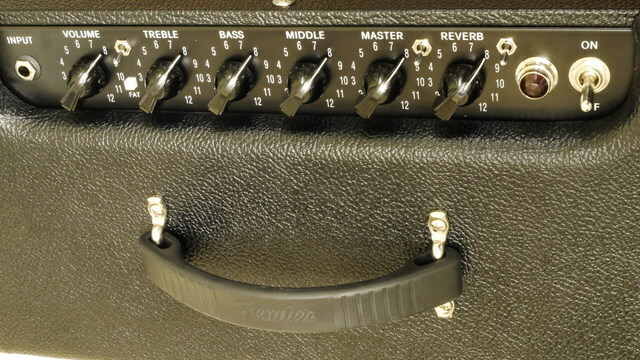 In the 'Center' Position the Amp is 'Off' - In the 'Up' (Back) Position the Amp uses a 'Valve' Rectifier - In the 'Down' (Forward) Position the Amp uses a 'Silicon' Rectifier. This Modification Replaces the Carling 'Off/Standby/On' Switch (Modification 2 in the list). 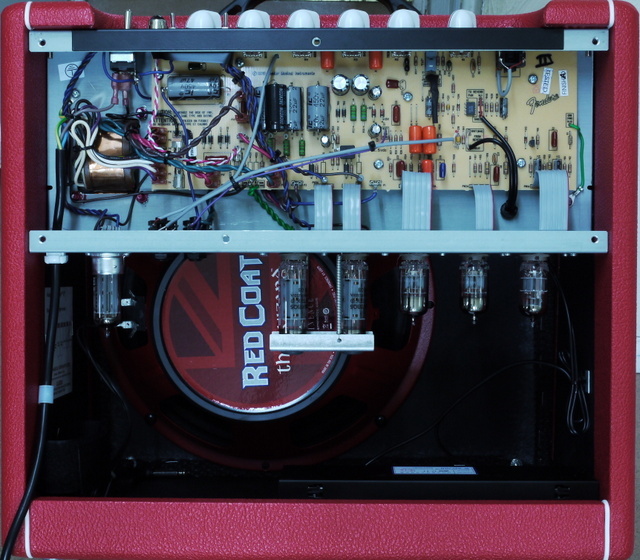 As long as the Amp is Switched 'On' to the Valve Rectifier Position, Standby is not needed. Use the 'Silicon' Rectifier for Maximum 'Clean' -or- the 'Valve' Rectifier for some Vintage SAG. The Rectifier Valve is a NOS 'EI' EZ80. 15. 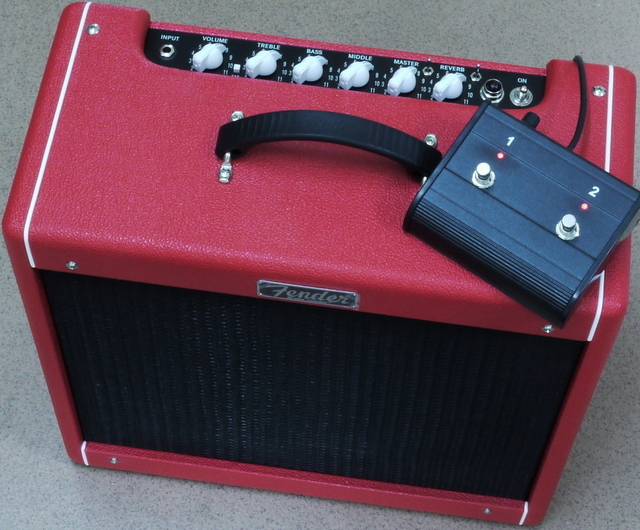 - Optional Upgrade - Variable Boost Footswitch - Switches the Internal Boost (Tone Bypass) circuit On-or-Off. The Footswitch is fitted with a Variable boost Level control (from Zero-to-Max) and gives a HUGE Boost to the MID Frequencies and Harmonics. The Footswitch is Metal construction with a 12 foot lead and 'Red' LED 'On' Indicator. 16. - Optional Upgrade - Reverb 'On/Off' Footswitch - The Stock Blues Junior does not have this facility. 17. 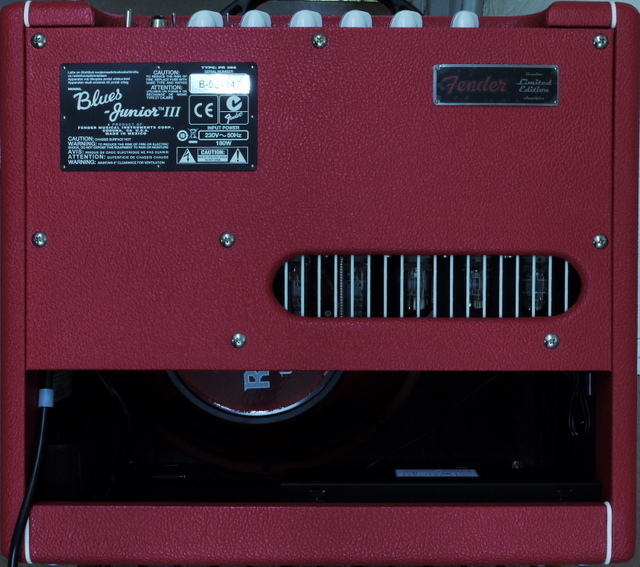 - Optional Upgrade - The Stock FBJ Output Transformer (OPT) is replaced with a 'Hammond 125E' or 'Hammond 1750H' Unit. This is well worth the extra cost and offers the following benefits - Greater Dynamic Range - Wider Frequency Response (100Hz -to- 20KHz) - Larger Mass, it's over twice the Size of the Fender OPT - Less Sensitive to the EMF Generated by the Mains Transformer (Gets rid of the HUM at Switch-on). All FBJ Amps suffer from a (Speaker) HUM when the Amp is switched on, even before the Amp has warmed-up and started working. A Magnetic Field produced by the Mains Transformer 'Induces' (Eddy Current) a HUM in the Output Transformer. The Hammond OPT minimizes this problem. 18. 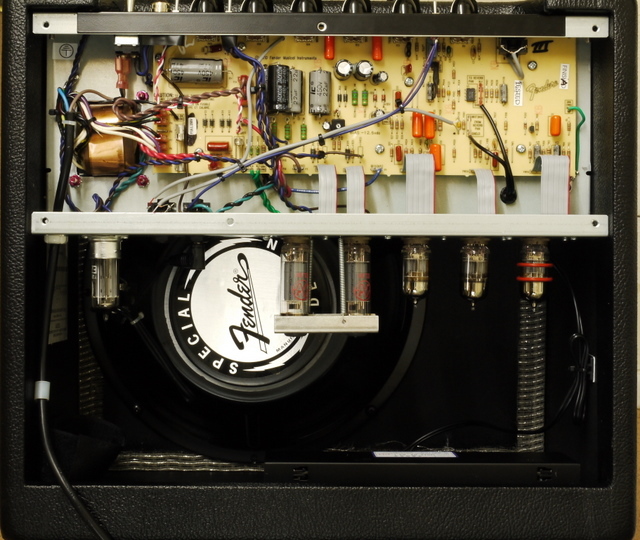 - Optional Upgrade - 'OPR' can be fitted to the FBJ V2 Amp only (or any Tweed Amp with Chrome Control Panel). 'OPR' can not be fitted as a 'Stand-Alone' Modification, at least some of the Above Mods must be done (1 to 7 [Minimum]) in order for 'OPR' to work Correctly. 19. - Optional Upgrade - Power Valves Changed from 'EL84's to '6V6's. 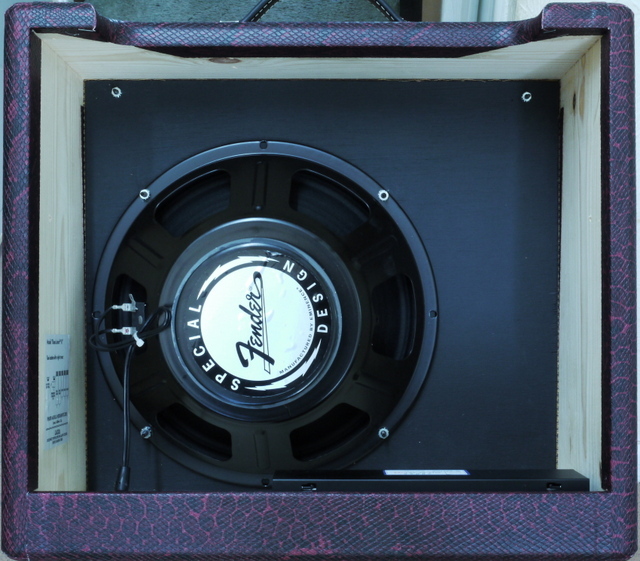 Using a Matched Pair of JJ '6V6S' Power Valves Changes the Sound of the Amp and makes it Less Agressive with Delayed Distortion and a Smoother Overall Feel, Slightly More Clean Headroom and Increased Bass Response. 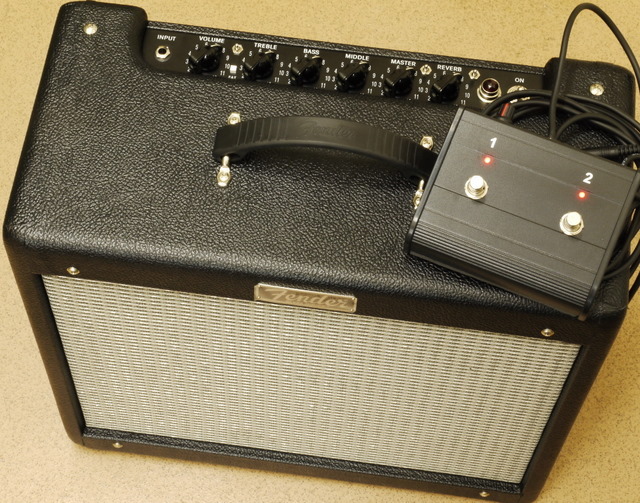 To run '6V6' Valves correctly, the Amp requires a New Mains Transformer and Output Transformer. 20. - Replacement Valve Board - In some FBJ Amps the Valve Holder Board is so badly Heat damaged that it must be replaced for the Amp to function correctly. The RAT Valve Holder Board uses 'Ceramic' Valve Bases (The Stock FBJ uses Plastic PCB Mount Valve Bases). There are some additional Modifications done to all Amps (As Required) - Strain Relief Cable Clip fitted on the Mains Power Lead - Rattle reducing Shock-Absorbers fitted to the Power Valve Retaining Clip (V2 Amps) - All Cabinet/Speaker Nuts, Bolts and Screws checked for the Correct Tightness - The PCB 'Earth' track is reinforced with 20 SWG Solid Tinned Copper Wire - Preamp Valves Tested - Reverb Tank Tested - Cleaning of Cab and Control Panel where needed - Ident Label on PCB for 'Bias' Setting - Ident Label on Lower Panel of Amp for 'Speaker' and 'FAT' Sockets - OPT moved away from the Mains Transformer to minimize Hum - Any Components damaged or showing signs of wear are Replaced along with anything else that needs doing to get the Amp working correctly - If your Amp has a Fault, it will be corrected as part of the Modification process. All Amps are 'PAT' Approved.